Fake antivirus software masquerading around as the real deal is quickly becoming one of the oldest (and most used) tricks in the malware manual, and for good reason. It’s easy to dupe less savvy computer users, especially as these bogus programs have become adept at looking the part. 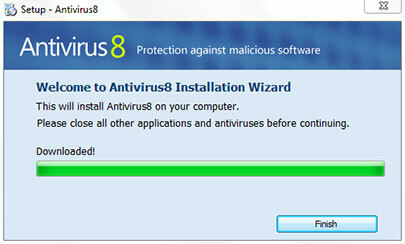 The latest one making the rounds is a false AV scanner called Antivirus 8. According to Schouwenberg, fake pop-ups related to the bogus application were appearing on users’ systems while not actively using their PC. Instead, they were running as soon as ICQ began fetching/displaying new ads. As Schouwenberg explains it, malware writers went through the trouble of setting up servers that appear to be related to actual retail products, so to outsiders (like Kaspersky) looking in, it appears the ‘store’ was simply the victim of an attack and the dirty ads keep rolling. How it works isn’t really important here, as none of this is going to matter to inexperienced users in the first place. If anyone requires any support please don’t hesitate to contact us we are always happy to help you. As expected, Microsoft today released two security bulletins in its January security update. One of the bulletins is deemed “critical,” while the other is considered “important.” Both are designed to address remote code execution exploit risks in Windows. The critical item affects all supported Windows operating systems and touches Microsoft Data Access Components, which are the link between the operating system and various databases operating in a Windows environment. Meanwhile, Microsoft said that the second and final item in the patch “resolves one reported issue rated important and affecting Windows Vista.” This fix addresses a vulnerability in Windows Backup Manager. The Backup Manager vulnerability is a fairly tough technical nut to crack, according to security experts. A hacker would have to open up Windows Backup and be able to access the target servers using Server Message Block (SMB) or Web-based Distributed Authoring and Versioning (WebDAV). Obviously missing from this January slate is an update for the Internet Explorer flaw. 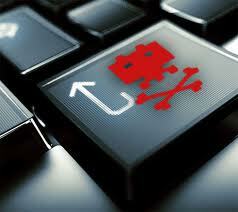 It was exposed as a proof-of-concept exploit late last year and early this year. Microsoft hasn’t ruled out producing an out-of-band fix, but the security team may wait till next month on delivery. As for the fixes Microsoft released in this month’s patch, both may require restarts. Microsoft provides this Knowledge Base article for nonsecurity updates rolled out through Windows Server Update Services, Windows Update and Microsoft Update.